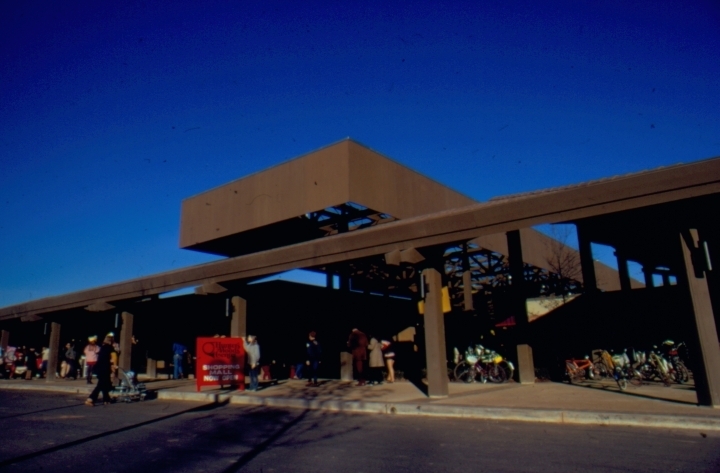 Exterior view of Hunters Woods Village Center in Reston, Va., around the time of its opening. Sign at west entrance reads "shopping mall now open." “Hunters Woods exterior at opening,” Northern Virginia Digital History Archive, accessed April 24, 2019, http://novahistory.ctevans.net/items/show/245.